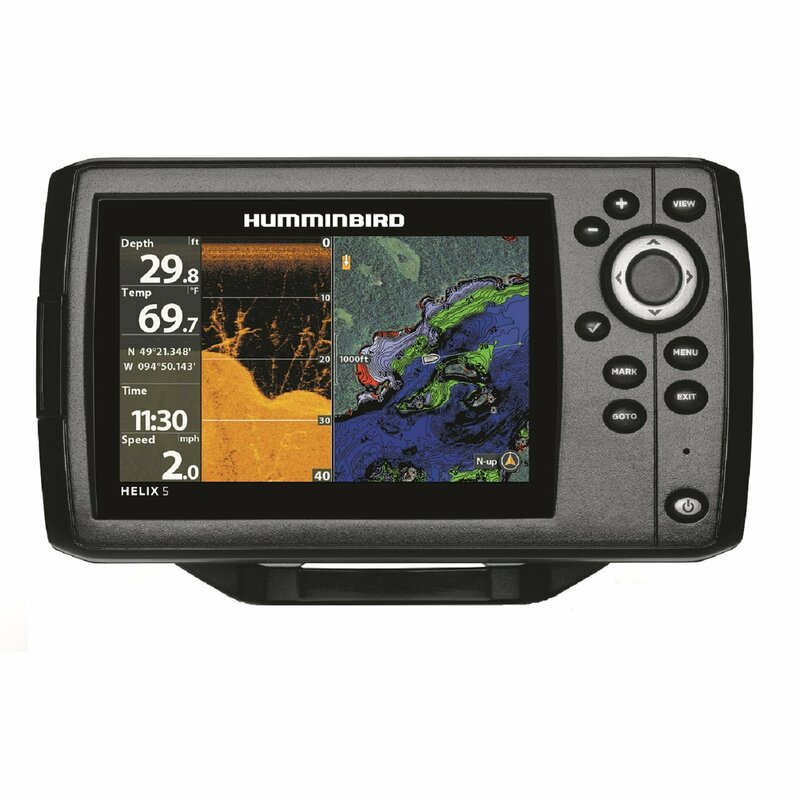 ProMariner High Seas RC | An independent unbiased ProMariner High Seas RC review and more on marine electronics. The ProMariner High Seas RC is another of the 7×50 compact-style marine binocular we checked out thoroughly in our latest binocular review. They stand just over six inches high when resting on the objective lens caps and weigh in at 40-ounces. The High Seas RC uses a center focus mechanism with an adjustable diopter on the right eyepiece. The diopter scale is located on the bottom side of the binos with index and scale marks molded into the plastic. We noted the diopter scale to be slightly off when comparing the setting to our testers eyeglass prescription setting. Optical acuity of these ProMariner marine binoculars was good. We did however note some difficulty seeing the compass when wearing eyeglasses. Magenta coating on the High Seas lens glass makes the image view look cool and bluish. The company says the colored coating reduces glare. In the handling department we noted the supplied case offered minimal protection, it was too soft, in our opinion. The provided neck strap had a small neck pad, but no floatation. This was the only under $300 binocular to sink during our dunk test. Front lens caps were attached to the center hinge, not our preferred attachment location, but in this case it seemed to work well. The caps fit the lens tubes properly, were easy to put on and remove, and were loose enough on the hinge to let gravity move them away from the front lens. One cap had a sliding scale distance calculator inside. Following the drop test something was thrown out of alignment just enough to make these binos unusable. Since the warranty covers only a defect this would not be covered damage. The High Seas RC binos were a middle of the pack performer with a shorter than average warranty. Shop for the ProMariner High Seas RC marine binocular here.